Nope, it’s not all a bunch of hocus pocus, the classic Halloween movie of that same name is actually airing over 20 times this month. 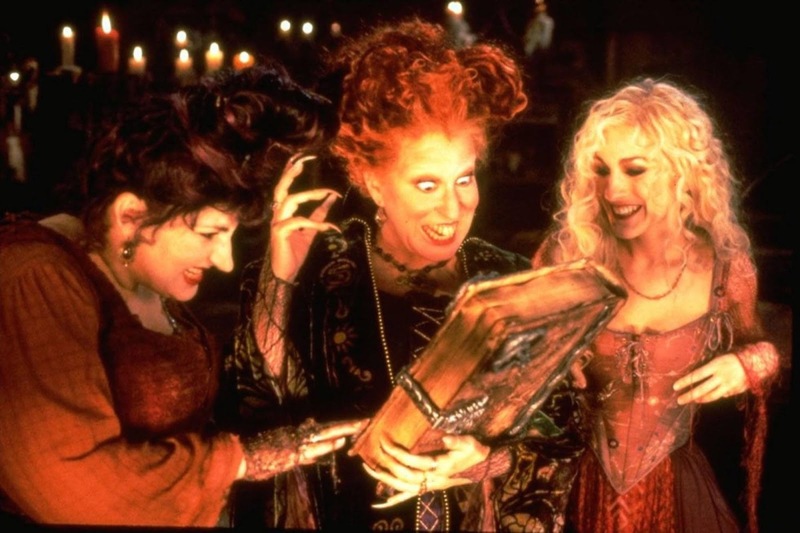 Starring Bette Midler, Sarah Jessica Parker and Kathy Najimy, “Hocus Pocus” is the beloved tale of what happens when three evil witches are resurrected by teens on Halloween. Every year, it’s become a tradition for many to rewatch the flick. Once again, Freeform is making that task easy with multiple showings throughout October 2018. The first one is on Oct. 6 at 7:35 p.m. EDT. Oct. 7 at 4:25 p.m.
Oct. 10 at 9 p.m.
Oct. 11 at 6:40 p.m.
Oct. 13 at 2:50 p.m.
Oct. 14 at 1:15 p.m.
Oct. 16 at 8:55 p.m.
Oct. 17 at 6:30 p.m.
Oct. 20 at 11:10 a.m. and 7:40 p.m.
Oct. 21 at 11:05 a.m. and 7:05 p.m.
Oct. 22 at 6:10 p.m.
Oct. 23 at 4 p.m.
Oct. 26 at 8:50 p.m.
Oct. 28 at 11:50 a.m. and 9:10 p.m.
Oct. 30 at 4:40 p.m.
On the final day of the Halloween TV event, Oct. 31, Freeform’s having a “Hocus Pocus” marathon. The first airing will be at 7:30 a.m., followed by a short break from 11 a.m. to 12 p.m. It will then start back up again at 12:30 p.m. and continue until the final showing at midnight. Aside from checking out the movie on TV, you can also watch it online at multiple streaming locations. It’s available to buy or rent on Vudu, YouTube, iTunes, Amazon and Google Play, starting at $2.99. But the movie itself isn’t the only “Hocus Pocus” content you can enjoy this October. There’s also a two-part novel available to read. The first portion tells the same story as the 1993 movie, while the second part is the sequel to it. That’s right, there’s a “Hocus Pocus 2” out there, just waiting for you. It might not be a movie, but the book does continue the original storyline, jumping ahead 25 years, which is how long it’s been since the movie was released.